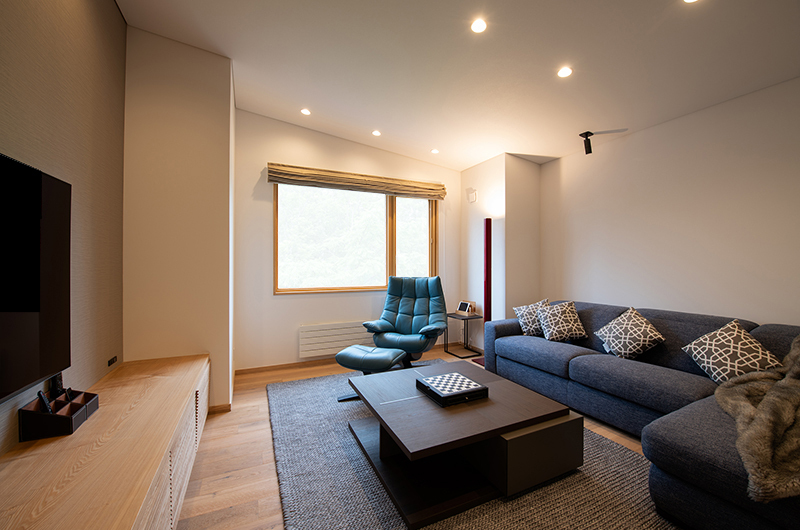 Soseki is one of the most stylish and spacious modern chalets in Niseko. 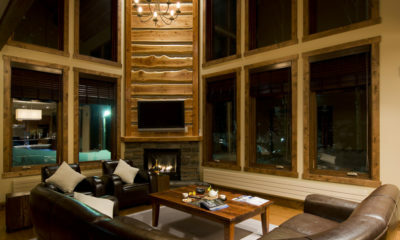 Spread out over three decadent stories and sleeping 16, this is a place families and groups can retreat to in style, comfort and fun after a day in the snow. 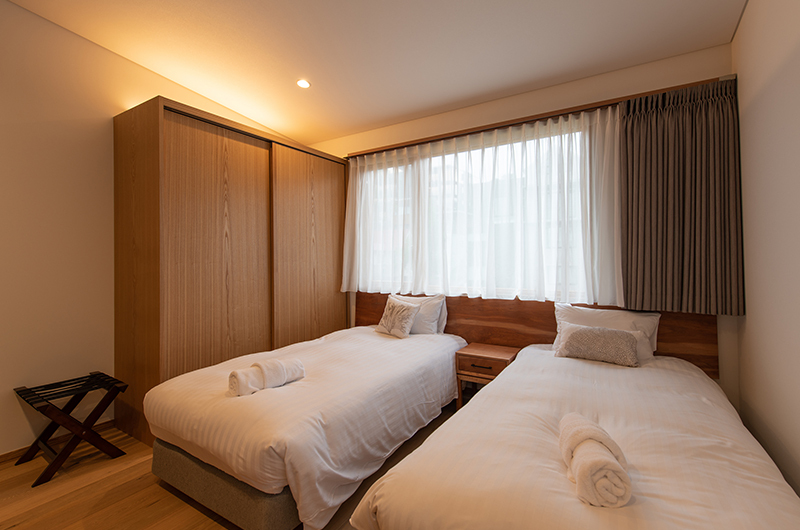 Media room, Japanese style bath, one traditional Japanese bedroom – Soseki is the ultimate Japanese ski pad. 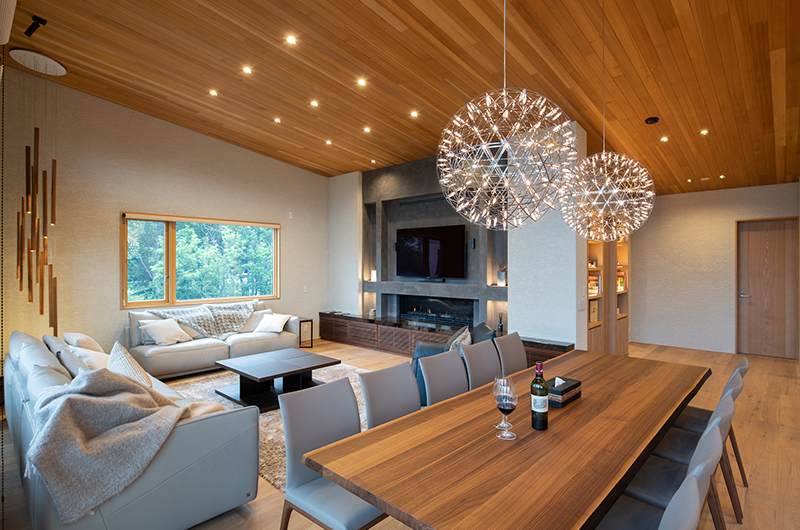 Completed in 2018, guests will enjoy the beautiful level of Japanese finish and Italian furniture. 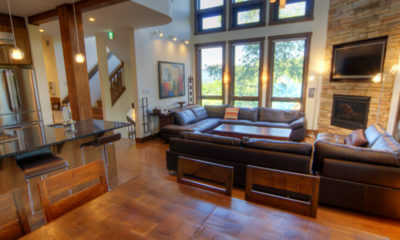 From the top floor living/dining/kitchen area, there are impressive views to Mt Yotei from under the vaulted ceilings. 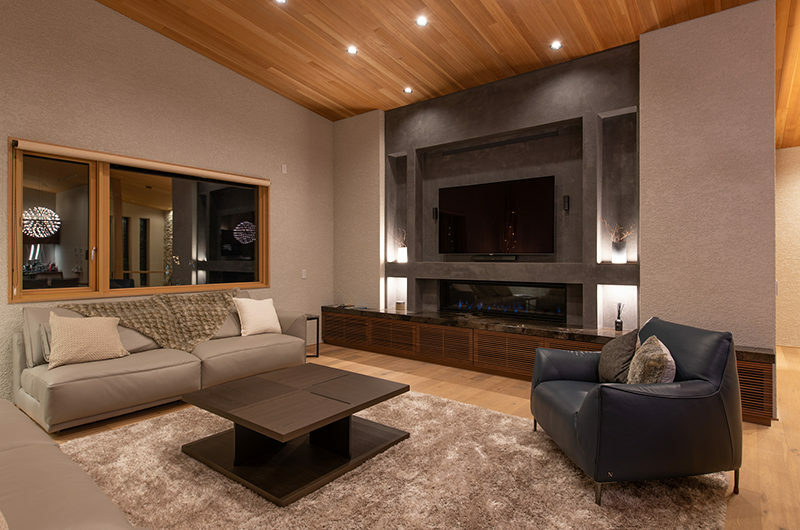 A wide gas fireplace is the perfect place to unwind on the Natuzzi sofas. 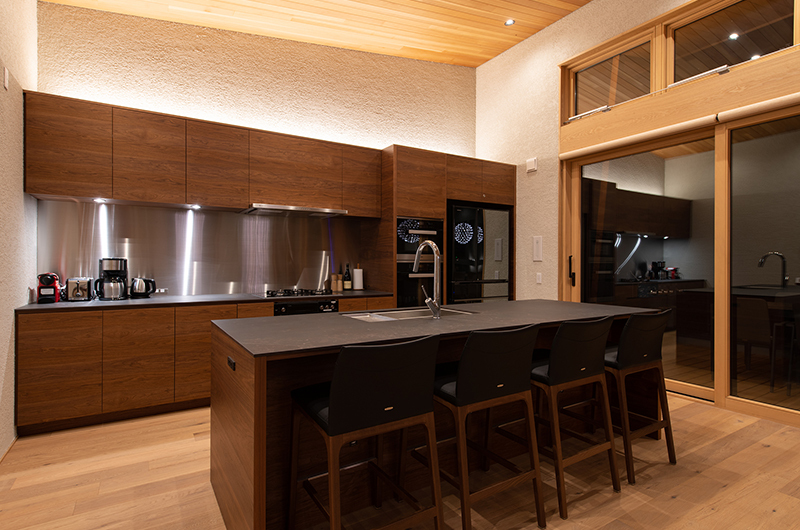 The kitchen features a beautiful walnut finish and ceramic counter. Also on the top floor, you can slide conveniently into the media room to enjoy surround sound movies on the Bose theatre system. 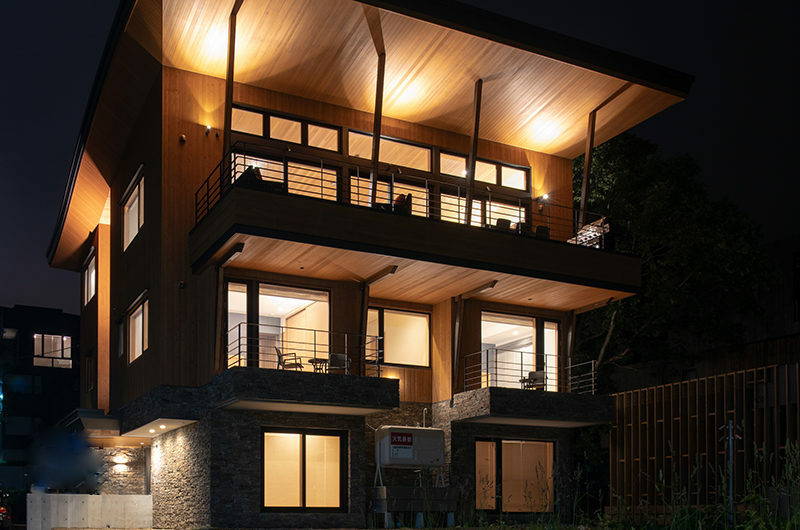 With outdoor living in mind, a very generous 30sqm balcony stretches the full width of the building. 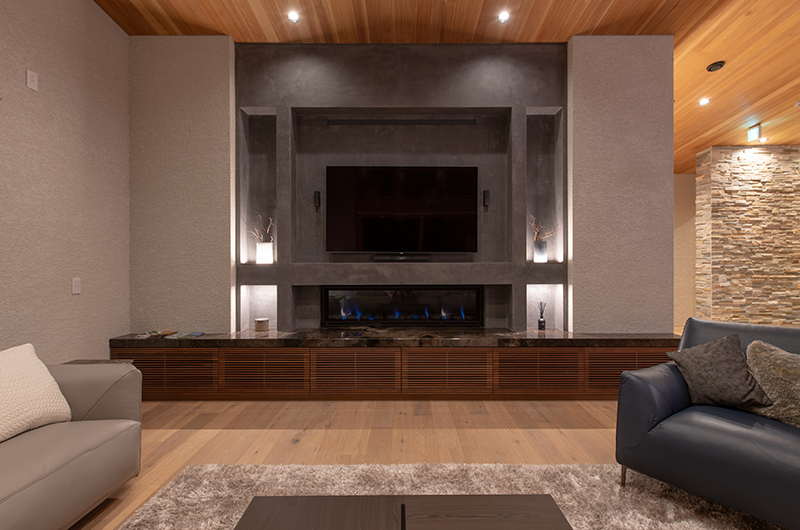 The sleek gas fireplace is the center piece of a second living area for warm conversations. 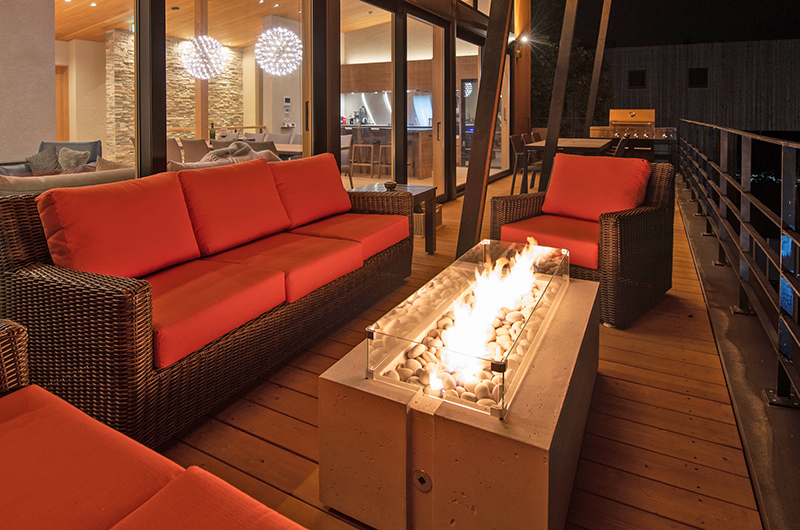 A gas BBQ and outdoor dining furniture await. Soseki provides all kinds of sleeping configurations. 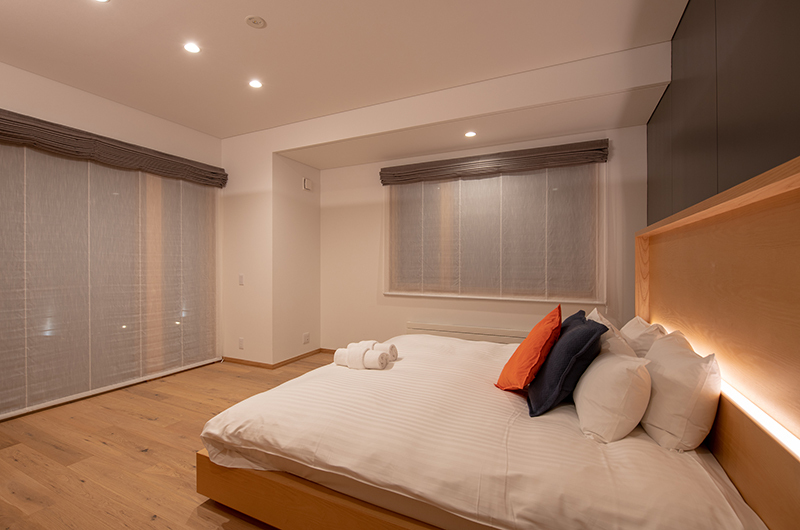 Two matching master bedrooms with king beds and rain showers in the en suites, two flexible bedrooms, a bunk room for 4, and a very generous tatami room that can accommodate up to 4 people comfortably. 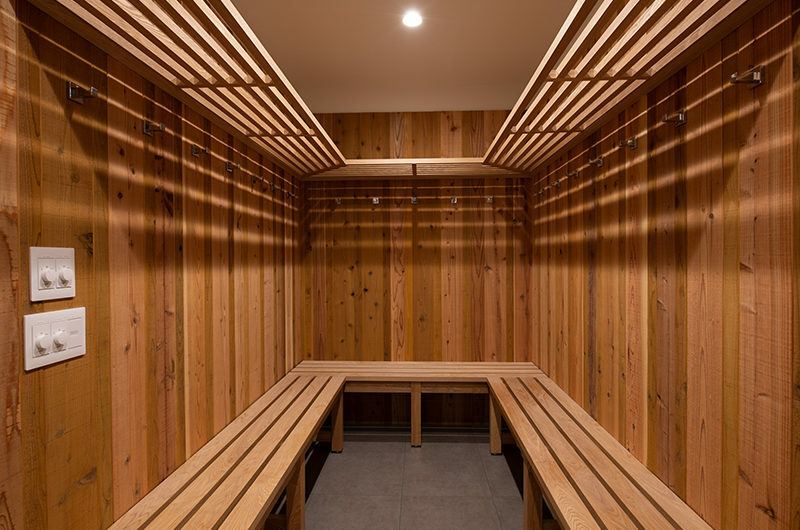 The expansive spa bathroom is the perfect place to relax and rejuvenate tired muscles, and the sweet cypress wood walls harking to Japanese onsen bathing. 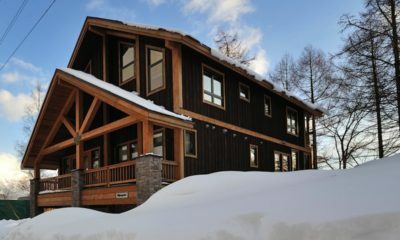 The first master bedroom is on the middle floor and occupies one corner of the building facing Mt Yotei. 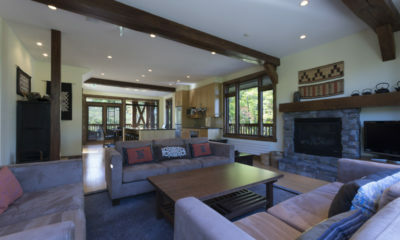 It has a large balcony and beautiful en suite. 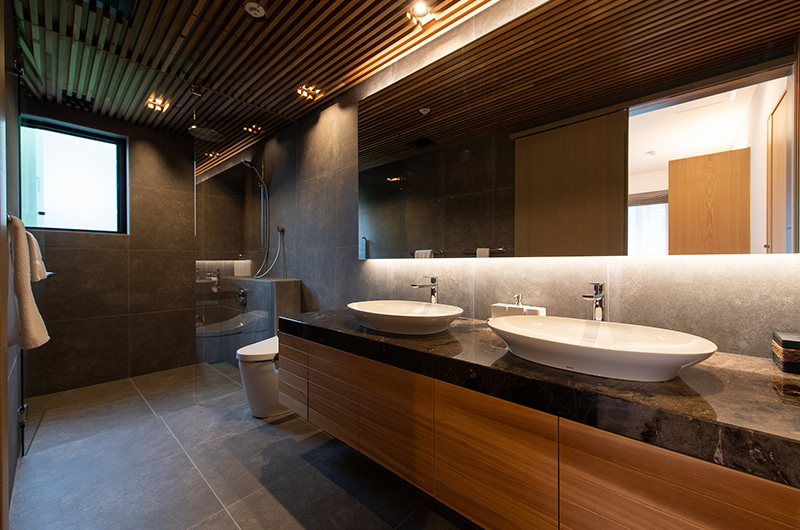 The second master bedroom mirrors the first and is just a touch smaller. 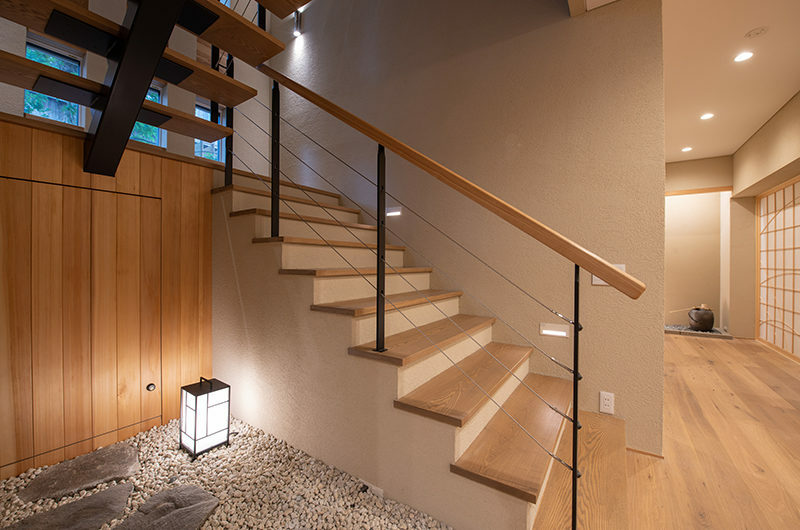 It is also on the middle floor on the corner of the building closest to Mt Yotei and has its own balcony. 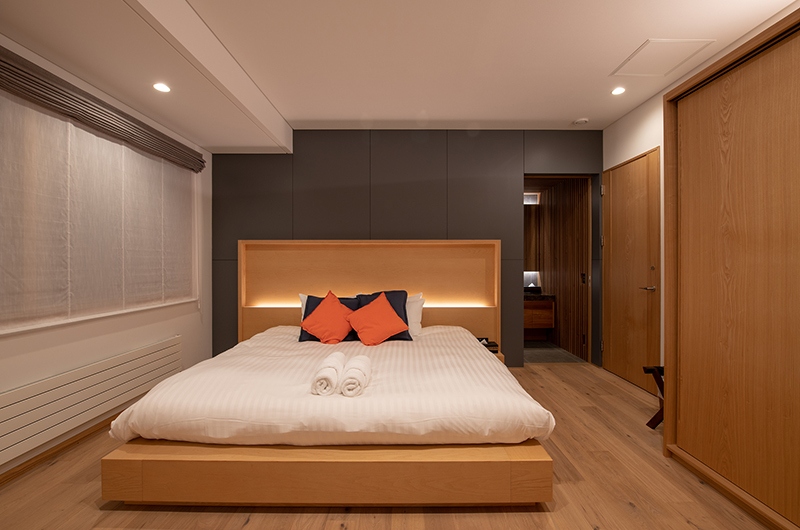 The third bedroom is a standard double bedroom with a beautiful ensuite and village views and a choice of bedding options. 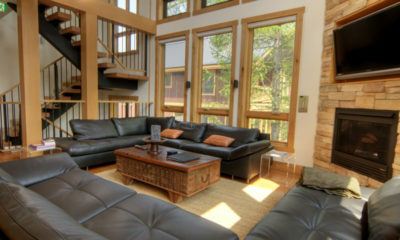 The fourth bedroom is on the top floor and is adjacent the living areas. 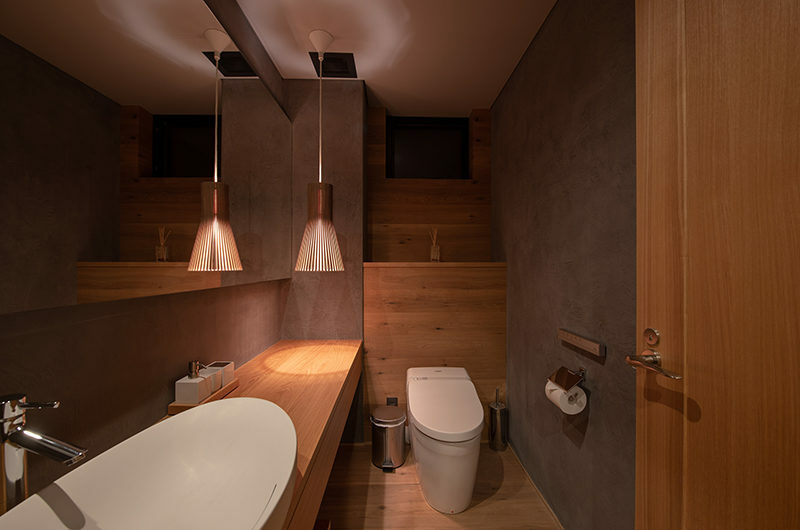 It doesn’t have a true en suite but there is a washroom with shower right outside the door. 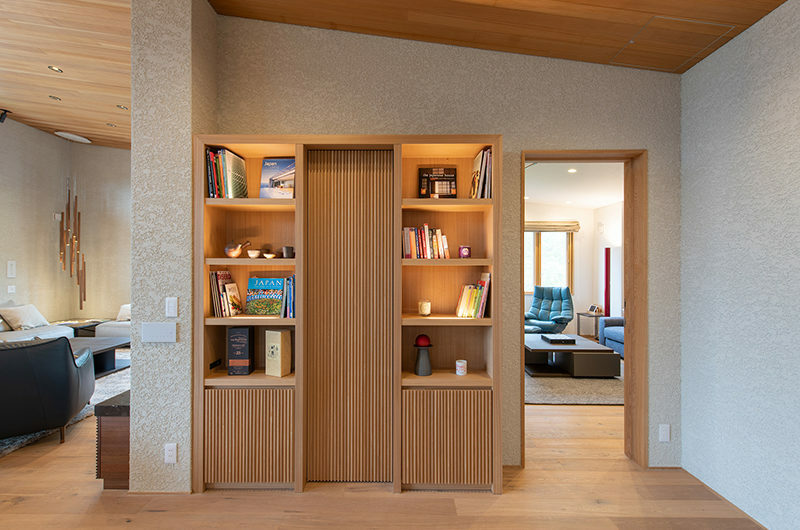 The kids (or big kids) room is on the middle floor with two solid bunk beds, sleeping four with individual bed lights and power points, also with en suite. 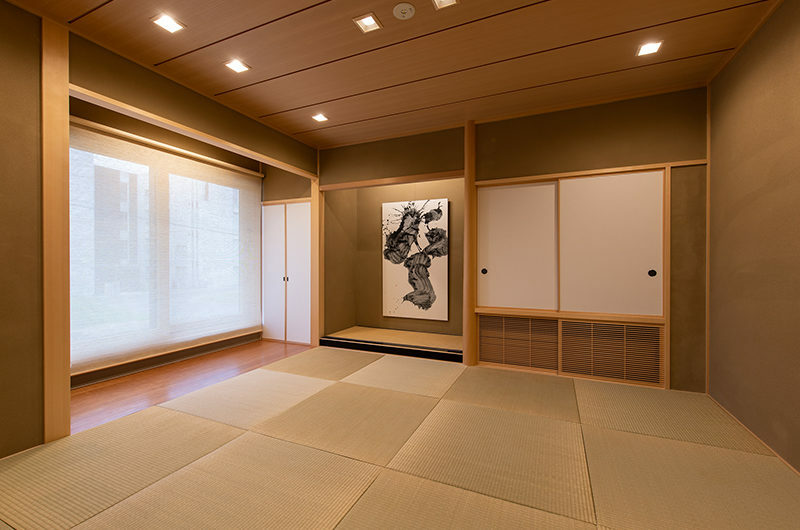 For those who are after a real Japanese cultural experience, choose the tatami room – traditional woven straw mat floor on which you lay a futon mattress. 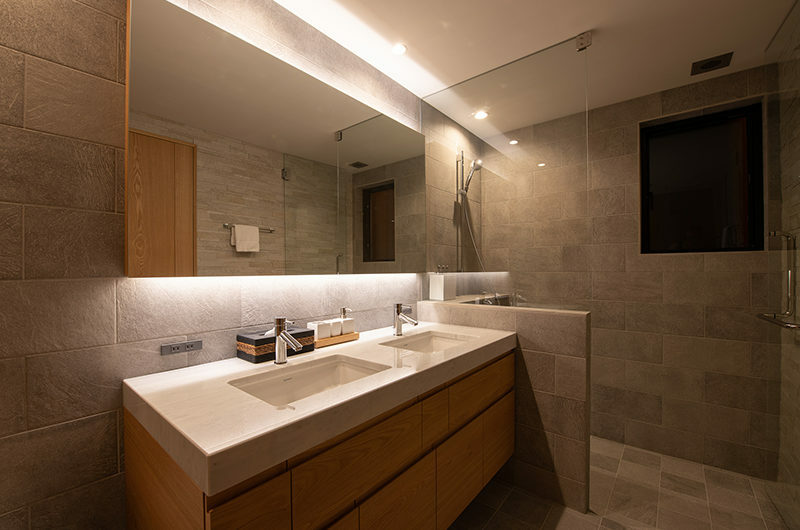 It’s also alongside the bathroom with Japanese-style bath. Arigatou! Soseki is located in a convenient, snowy Lower Hirafu location walking distance from the centre of town. This is a really charming part of Niseko – it’s a fairly quiet and laidback part of town with a few restaurants and bars tucked away inside small houses and buildings buried in snow. From Soseki it’s about 10-15 minutes walk up hill to the ski lifts. Better catch the free village shuttle which stops just metres from your door. The free village shuttle runs from 8am-9pm and can whisk you up to the lifts, or anywhere around Hirafu in that time. The bus direct to Hanazono also stops at this stop. 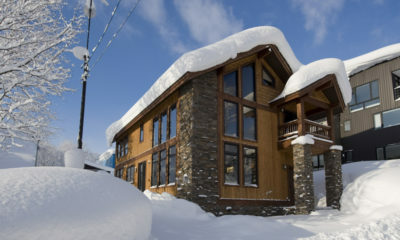 In the network of streets surrounding Soseki you’ll find a dozen or more classic little Niseko establishments – charming izakaya restaurants that could offer you literally one of the most enjoyable dining experiences of your life, and a handful of bars including the iconic “Fridge Door Bar” – aka Gyu+. Amazing! 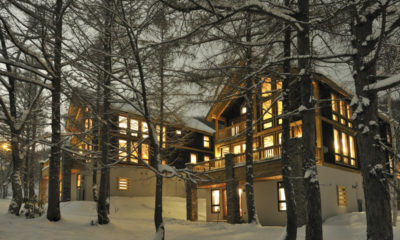 Another personal favourite and one of the most stunning chalets in town. 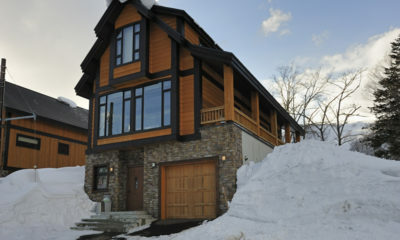 Latitude 42 is a spacious luxury chalet inspired by Niseko’s distance north of the equator.